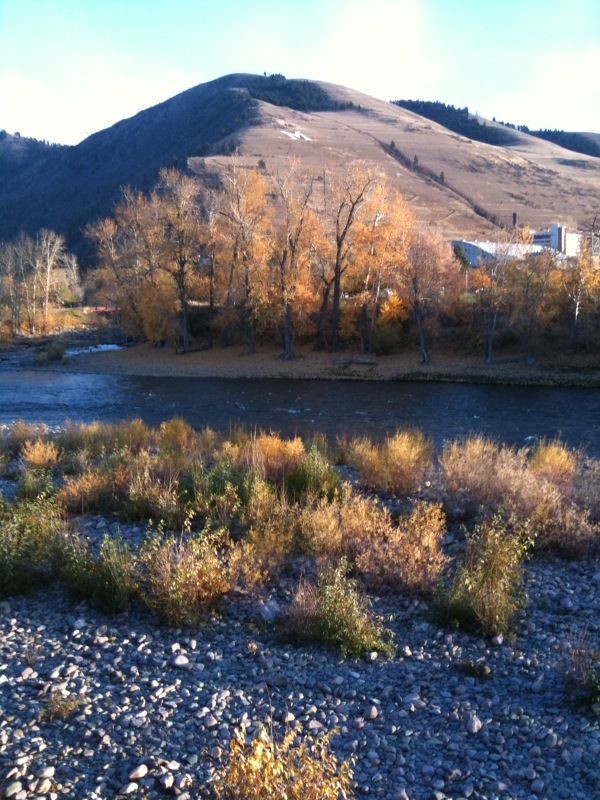 From Butte, we drove the two hours (across a gorgeous superfund site) to Missoula, Montana. I had been invited to be the keynote speaker for the Montana Organic Association Conference. The night before I had spoken to the general public at NCAT in Butte and had gotten a good response: I filled the room, which is always a relief, and there was only one troublemaker in the audience, so the fight never came to fisticuffs. 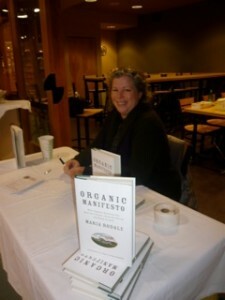 Me signing books at the lovely Good Food Store in Missoula. 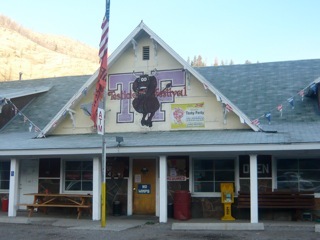 In Missoula, after doing a local public radio interview, I spent some time at the local healthy supermarket, The Good Food Store. It was awesome. I couldn’t help but shop. 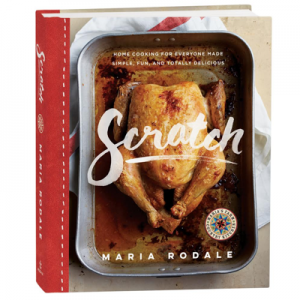 I had a delicious lunch there, and did a book signing for some lovely Missoulans. And then I stopped by the Black Cat Bake Shop, which makes a lot of its goodies from organic flour and grains. Yum! 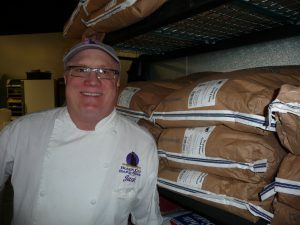 The baker at the Black Cat Bakery proudly uses organic flours. But the highlight of my whole Montana trip was the evening lecture I gave to a full room of farmers at Missoula’s Holiday Inn. I’ve said before that I love farmers, but I do love organic farmers the best. 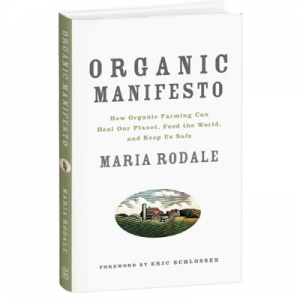 It was the first time I had talked about my book, Organic Manifesto, to primarily organic farmers, and I could feel their passion, their struggle, and their determination. They struggle every day with issues about farming and doing the right thing and making a living… But what struck me most was the struggle to do the right thing in spite of being made fun of, ridiculed, or just plain made an outcast. Just like my grandfather 60 years ago. 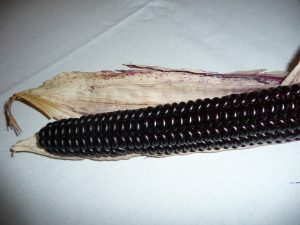 Farmers in Montana have been working on growing corns just for their short growing season (35 days!). This variety is very high in protein and BLACK. Shannon Brown was there, with her wonderful husband! And then there were amazing people like my friend Bob Quinn, a successful Kamut farmer and a proponent of “soil-building cropping systems.” I mean, I LOVE that these people aren’t just talking about it, they are DOING it. I walked out of the hotel that night into the chilly autumn mountain air thinking that it was all worth it—all the research, the insanity that comes from writing and living in what I call “book mind,” the effort to get the word out (and I mean EFFORT!). If I can just inspire or re-inspire a few organic farmers to stay committed and be proud of what they do, then I am happy. Home of the Testicle Festival, which is on the way to Missoula from Butte. After all my talks were done, Maya and I stimulated the local economy most delightfully at a store called The Greenlight, where I bought a “Keep Missoula Weird (Do Your Part! )” sticker. I also bought a painting from a 24-year-old kid who paints like a dream. Then, after a long, deep nap, I went for a run along the river and a little up the mountain towards the town’s giant M. I finished off the night with a yummy pizza from Biga Pizza. As I sat at the counter eating pizza (all the tables were full), feeling that calm happiness that comes from work well done and the glow of a good run, I realized that I really, really love the West. The wide-open spaces. The rugged toughness that is required. The creativity and eccentricity that come along with that. From Montana on down to New Mexico, it’s the place where I feel I fit in most. But I have a day job that needs me on the East Coast. And fortunately, I love my job. And of course, I thought as I sat down with all my family for a homemade dinner after we returned, there’s no place like home. Hey Kate, send me an invitation and I’ll see if I can make it! I can drive to Connecticut! Great news Maria. I will get to work on that! Just a follow-up to your book signing at the Good Food Store in Missoula. They are now experimenting with social media (Facebook) by posting an entry each morning around 10 AM. The entry details which hot soups are available that day at the soup station at the end of the salad bar. I think this is a great idea that will no doubt cause me to spend even more time and money in the store, especially at this time of year (November). Thanks for comming to Missoula! 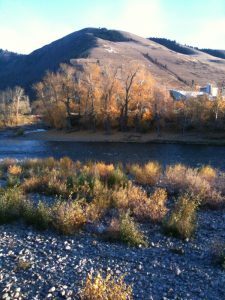 Missoula is a special place where the work you are doing with your book “Organic Manifesto”, is greatly appreciated by many. The words organic and Missoula go well together. Hah. Good place to have that convention I guess. Do you guys still do these?